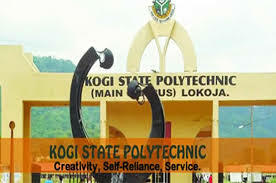 Kogi State Polytechnic, KSP Post-UTME Results and Scores for 2018/2019 ND Full Time Admission Exercise Successfully Released and Uploaded Online - Download KSP Post-UTME Results in PDF. This is to inform all candidates who participated in the Kogi State Polytechnic, Lokoja Post-UTME admission Screening exercise that the results has been released for 2018/2019 academic session. KSP Lokoja Post-UTME Results has been uploaded online and can be downloaded in PDF.